Help mommy & daddy on a fun family adventure! Feed mommy, do make-up, baby care and much more! 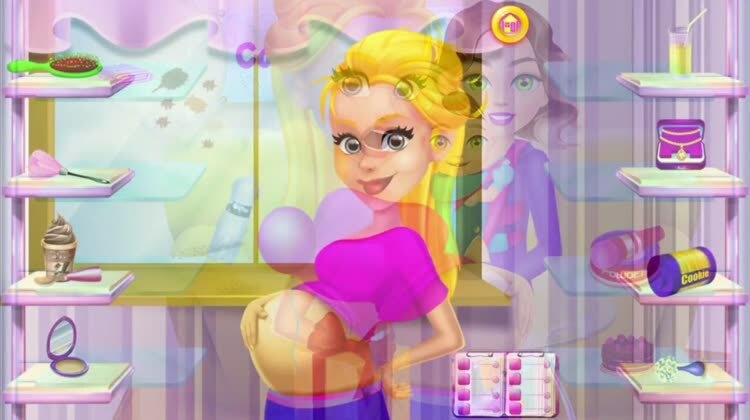 Level 1: It's a Baby Shower! Have a fun party with Mommy make-up, chocolate cake, balloons, baby friends and much more! Level 2: Decorate the rainbow room! Paint the wall & listen to a baby song. Level 3: Help take care of Mommy! Brush mommy's messy hair. Dust the window, play makeover and decorate with flowers! 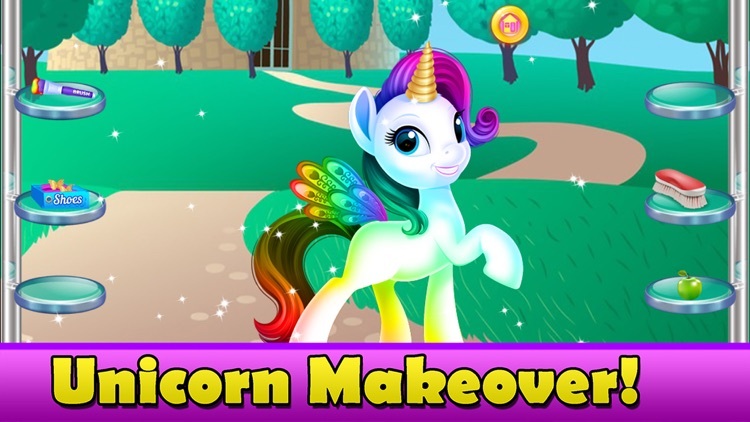 Level 4: Magic rainbow unicorn pony makeover! Feed apples to the pony, add wings and more! 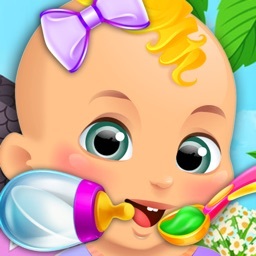 Level 5: Baby Care - Play and give the baby a binkie! 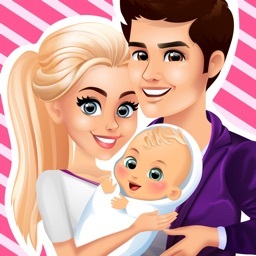 Level 6: Care for mommy, daddy and baby during family time! *Level 7: Change the baby diaper! Play with the cute baby! *Level 8: Baby bath time! Play with bubbles and bath toys as you clean-up! *Level 9: Get the baby ready for a nap in the crib!! *Level 10: Now that the baby is well rested, play, feed baby food and drink from the milk bottle! *Level 11: Baby 1st Birthday Party! It will be so much fun for the family! *Please note that levels 7-11 must be purchased separately.